This ticket allows you access to Mad Cool Festival 2019 on Thursday, the 11th of July. 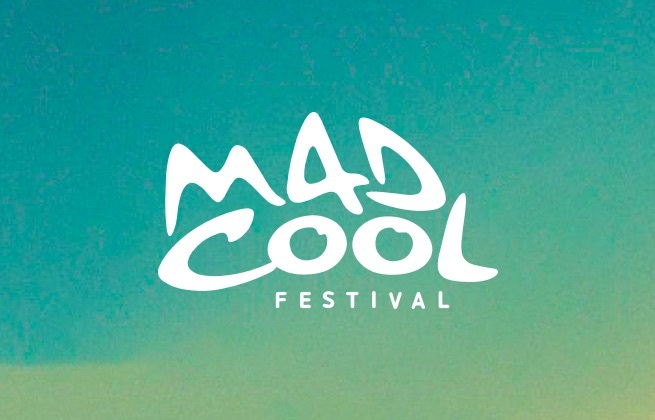 This ticket allows you access Mad Cool Festival 2019 on the 12th of July. This ticket allows you access Mad Cool Festival 2019 on the 13th of July. This ticket allows you to access Mad Cool Welcome Party on the 10th of July 2019. 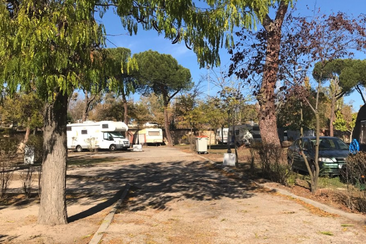 Camping Osuna is located in one of the most emblematic parks of Madrid, "El Capricho", next to Adolfo Suárez Madrid–Barajas Airport. Madrid is just in a few minutes by underground or bus. It features Wi-Fi, a supermarket, a function room, a laundry, and a bar. 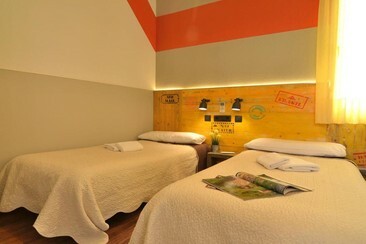 OK Hostel Madrid is located in the bohemian “Barrio La Latina” in the heart of the historic center of Madrid and only a few steps away from all major transportation and touristic attractions, such as Puerta del Sol, Plaza Mayor and the world renowned “Museum Triangle”.The hostel was conceived as a relaxed hangout for travellers from all over the world, that get together in the common areas, like the spacious “Comedor”. Guests can take part in the hostel's special events, like the Walking Tours, Tapas Tour, Pub Crawls and the infamous social dinners! Located in a historical building, with an entirely new design and decoration, Ok Madrid provides the best services and facilities in town, in a comfortable and stylish atmosphere, right in the city centre. There are plenty of room types to choose from: 6 beds female dorms, 6 beds and 4 beds mixed dorms and also matrimonial rooms for couples. 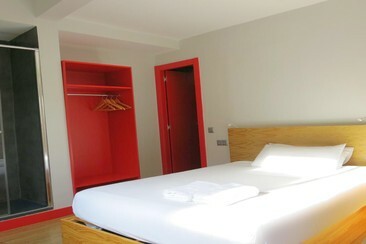 Each room is equipped with free Wi-Fi, air conditioning; en-suite bathrooms and high-pressured hot showers. The custom made bunks are specially designed to offer travellers a comfortable night sleep with privacy, each with individual safes, reading lights, electrical sockets and luggage storage drawers. Those inspired by the flavours of Madrid and feel like cooking can simply step into the fully equipped kitchen and save the extra cash by eating in! 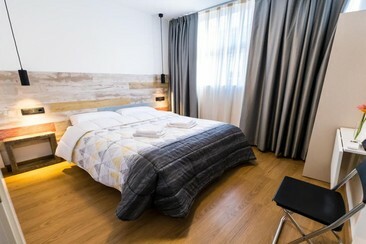 Hostal Ballesta is a stylish, modern guest house, located in the centre of Madrid, on a quiet street just 150 metres from Gran Vía, between the districts of Chueca and Malasaña, a 3-minute walk from both the Callao and 2.7 km from Museo del Prado. 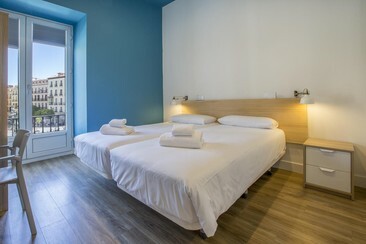 A 5-floor hostel has 35 rooms, all of which are equipped with air conditioning, private bathroom, LCD television with Spanish and international channels. Some rooms have a private balcony. The Ballesta has a lounge with a large flat-screen TV and a computer room with free internet access. 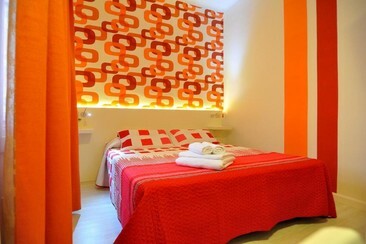 Direct line to festival with cercanias (C1) Door to Door - Hotel to Festival in 12 minutes. Live Madrid like never before by staying in the Weare Chamartín Hotel, a refurbished hotel close to Chamartín station in Madrid with spaces of modern design and services specialised in the leisure traveller. 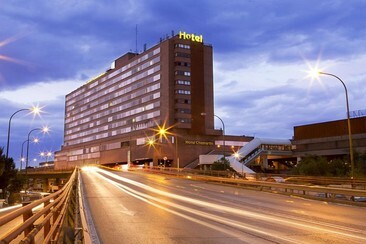 Enjoy the advantages of a 4-star hotel near Paseo de la Castellana, within a few minutes drive to Adolfo Suárez Barajas Madrid Airport and to the fair centres of IFEMA and Mad Cool Festival, really close to the Bernabéu stadium and the main tourist attractions of Madrid. 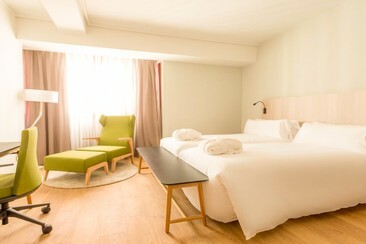 It is a modern hotel with a state-of-the-art equipment and personalised attention, which make it the perfect option for resting after the festival and discovering the city of Madrid. 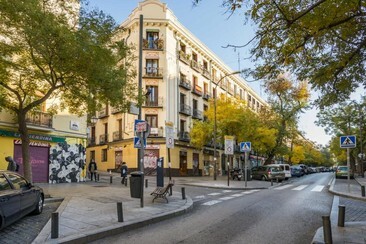 The sunny and bright 1-bedroom Tesoro vacation apartment in Madrid’s historic Malasaña district is the perfect romantic hideaway. In the oldest neighborhood of the city, known for its ancient monasteries, cobblestone streets and fabulous churches, even walking down the block is an experience. Plaza de España (5 min), the Church of San Antonio (5 min), and the Royal Palace (15 min) are all in the area. Buses run around the corner and the Noviciado Metro is a short walk (5 min). Inlaid lighting, soft blue pastels, and chic furnishings were carefully chosen by our local interior designer give this cozy apartment a traditional Spanish vibe. Large skylights offer plenty of sun, and the open living and dining area is a perfect place to relax. 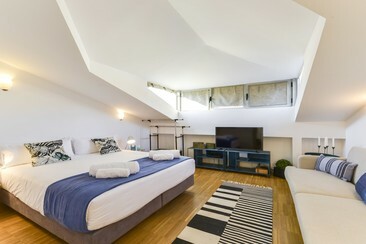 Ideal for couples or a solo traveler, this apartment provides stylish, comfortable lodging in Madrid’s most captivating area. 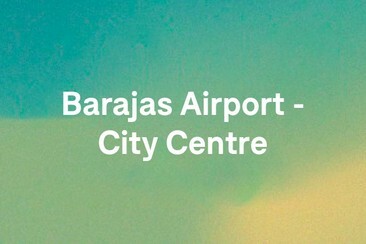 Comfortable, private and convenient transfer A private airport transfer for up to three people from Madrid Barajas Airport to Madrid City Centre (around Plaza Cibeles/Atocha). 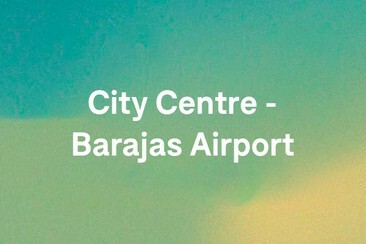 Comfortable, private and convenient transfer A private airport transfer for up to three people from Madrid City Centre (around Plaza Cibeles/Atocha) to Madrid Barajas Airport. Protect your hearing while you enjoy the best quality music! Experience the best Spanish tapas!